Ready Set Row ROW2K Clinic - Athletes join us from all over the country to work on erg efficiency, strategy and most importantly - mental fitness. Strategy. Efficiency. Mental Toughness. Bravery. The 2018 Row2K Clinic was a success! A total of 13 athletes (2 boys, 11 girls) attended the 2018 Raleigh 2K Clinic this year and we had a blast! Here are just a few of our results (n = 13 pre-survey; n=12 post survey). 100% of our athletes were very (25%) or extremely (75%) satisfied with the clinic. Athletes highlighted the mental training, strength training, technical erg/rowing coaching and strategic 2k Race plan coaching to all be very informative. They also enjoyed working with my other coaches, Danielle and Mitchell and loved hearing from my guest speaker, Steph Hammerman - the first ever CrossFit Level II coach with cerebral palsy and a friend of Coach Holly. We work really hard to equip our athletes with tools to manage fear and combat negative and destructive thoughts that may derail their performance or at the very least, influence their behavior. I asked the athletes how effective they are in quieting the negative voice before the clinic and again after the clinic. Ideally, athletes would feel confident in this skill and report a 4 or 5. On a scale of 1-5 (1 = extremely bad with managing the negative voice; 5 = excellent at managing the negative voice). Prior to the clinic, six athletes reported that they were very bad at managing and quieting their negative voice and zero athletes felt that they were great with this skill. After the clinic, zero athletes reported that they felt they were bad at managing the negative voice and nearly all the athletes reported that they are now good or great at managing the negative voice! And the most exciting for me is how they rated their fear of the 2K erg test after the clinic! Athletes were asked to rate their fear of the 2K erg test on a scale of 1-10 (1 is not scary at all, 10 is terrifying). As you can see on the right, prior to the clinic, 7 athletes rated their fear of the 2K at a 7 or higher. After the clinic, there was not one athlete that feared the 2K test this much and you can see how the distribution changed. This is great news! Ideally, the athletes would all report a 3 or less in the future. 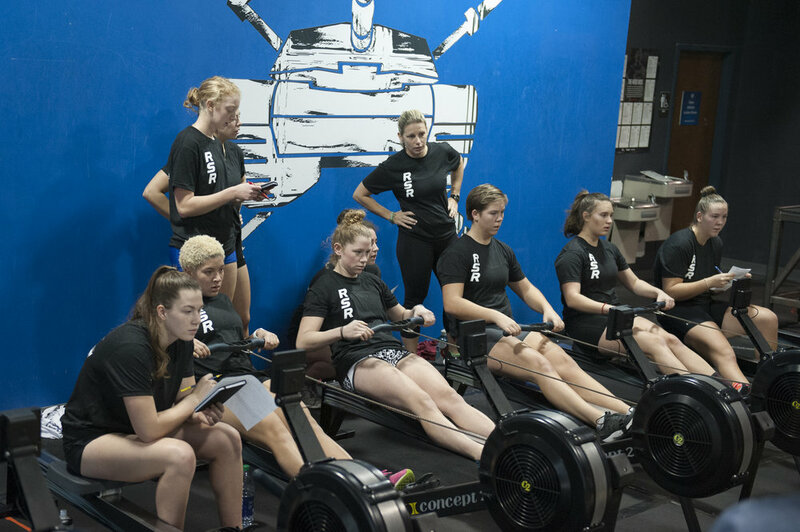 The erg is a great tool to help you become a faster rower. Unfortunately, many rowers view it as a chore or even a torture device. 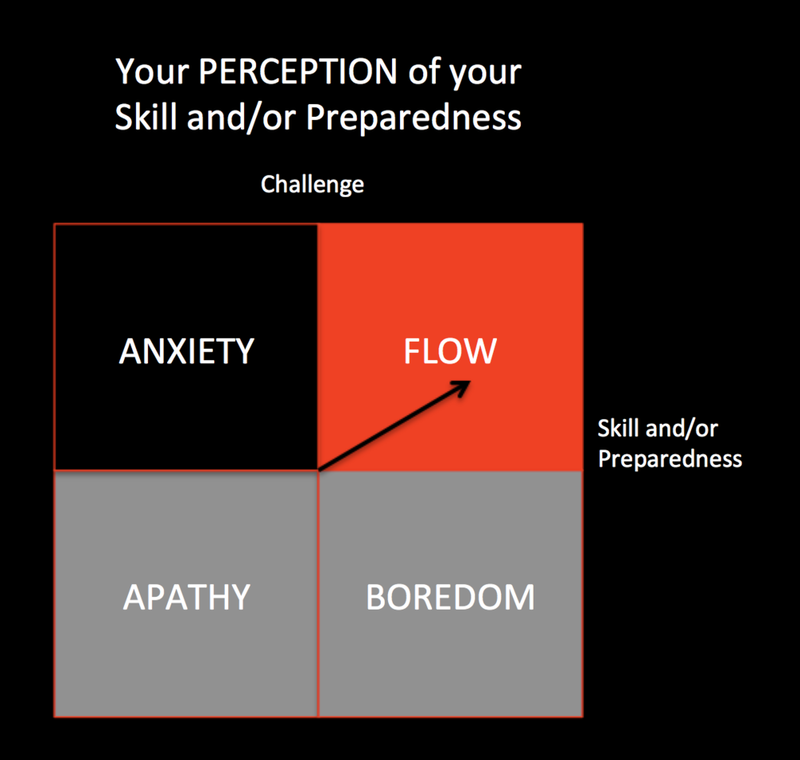 We have found that most junior and college-level athletes find themselves in one of the top two quadrants - anxiety or flow - while at rowing practice (see Figure 1). The reason for this is because they have the perception that they are ill-prepared or lack the skill to perform at a certain level and meet a perceived challenge. At Ready Set Row we break down these perceptions and then provide a framework for them to strategically train and perform so that they know they have done the work and have the skill to perform. 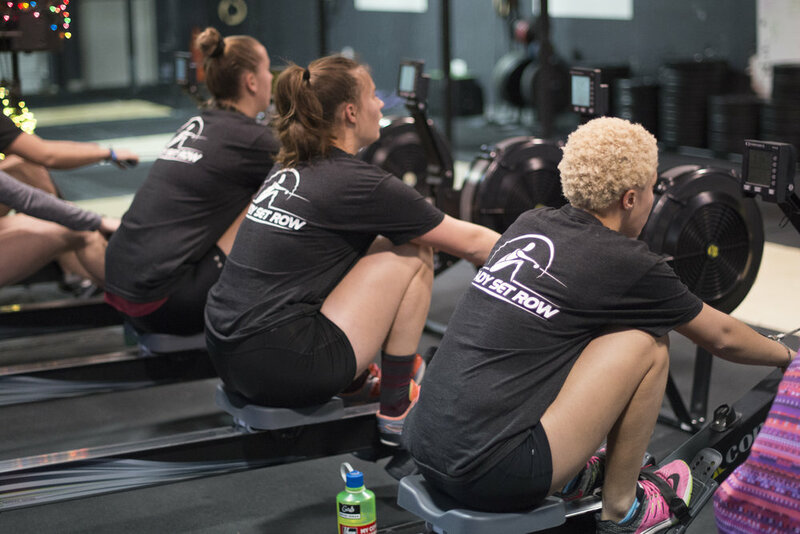 Want to bring the ROW2K Clinic TO YOU and your club or team? Inquire HERE. "You won't always win the race, but you can win the game - the mental game." 89% strongly feel more confident regarding their next ROW2K test.